We want to thank all of our customers who have helped us grow and become what we are today, an Authorized Allison Dealer, for On and Off-Highway Allison Transmissions, and, in business for 24 years. We are proud to have contributed to such major projects as he Seven Oaks Dam, diamond Valley Lake, and the 241 toll roads. Our Port, Refuse and Transit customers, along with all the others, continue to impact our business in helping us to grow. With over 270 transmissions in our inventory, we work with our customers, to stay on the road or in the dirt, to stay on top of the oil well or in the water, until the job is done. 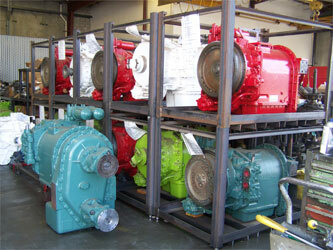 Western States Converters and Transmissions, has, “Customers for Life”.